It feels good to get your schedule sorted – you have all the right people, exactly where you need them, to cover everything your customers can throw at you in a busy week or month. But for many of our customers, the job doesn’t end there. Figuring how much the schedule costs is another daunting task, due to myriad rules around minimum rates, base rates, penalty rates, overtime, breaks, night shifts, allowances, weekends, public holidays… you get the picture. If this sounds like you, you’ll be delighted to know that we have shipped a new feature to make your life much easier. Our built-in custom pay rules tailored for your business will boost your scheduling up a notch. Accurate Costing – no more manual calculations! If you’re like most of us, you sneer at having to calculate costs manually. Using Excel formulas is now a thing of the past! With the new custom pay rules, Deputy will provide you real-time cost calculations while you schedule your staff. You’ll know exactly how much you’re spending on wages each week and have an accurate representation of your wages vs. sales ratio. Minimal research – we do the heavy lifting! Take the guesswork out of your penalty and overtime rate conditions. Deputy will do all the heavy lifting for your additional rates – all you have to do is enter your employee’s base rate. Our built in multipliers make it easier for you to stay on top of your staff’s wages. Do you employ full-time or casual staff? Not a problem, Deputy is right by your side. We’ve built this right into the product and we’re happy to adjust these calculations to suit your needs. No matter where you are our custom pay rates are compliant with your jurisdiction. We understand the compliance burdens so we’re here to lend a hand. In USA we’ve rolled out a template for pay rates compliant with the California Fair Labor Standards Act (FLSA). We’ve also implemented a template for overtime in Canada so if your staff work over 44 hours they will be paid 1.5x overtime. While in Australia, we’ve pre-loaded the Hospitality Industry General Award (HIGA), Restaurant Industry Award (RIA), Fast Food Industry Award (FFIA) and the General Retail Industry Award (GRIA) for all your full-time, part-time and casual staff. There will be more to come and we will be rolling them out gradually. We have a considerable library of pay rules already available, and can easily build new ones. The chances are that whatever your requirements, we can cater to you. Please free to ask us to build a template for your custom pay rules – just submit this simple form, and we’ll turn it around for you in no time. The post Reduce Stress With Deputy’s Custom Pay Rules appeared first on Deputy. The post Vend recognised as fastest growing tech company in NZ appeared first on Vend Retail Blog. At Xero we’ve always strived to build beautiful, easy to use cloud accounting software that our accounting partners and small businesses around the world can use at any time, from any device. So we’re very excited that our efforts to do just that have been recognised today by our own customers. In a recent survey of small business owners and decision makers by independent research company Canstar Blue, Xero was awarded the highest customer satisfaction ranking for accounting software, beating out MYOB and Intuit Quickbooks. This is the first year we’ve been eligible for the research, so it’s an incredible achievement. What’s better is that small businesses gave us five stars for all six criteria involved in the survey: value for money, service, warranty, customer support, features and overall satisfaction. Those business owners and decision makers said that value for money is paramount, which we certainly aspire to as well. It’s a great recognition of how far we’ve come as a company and as cloud accounting software. In the past 18 months alone, we’ve delivered more than 1000 customer-facing updates to the Xero software, making it even more powerful and useful to small businesses and accounting partners who want to do their accounting quickly and easily. But it’s thanks to our small business customers, who use Xero every day, that we can attribute our success. There are more than 250,000 small businesses around Australia — and 540,000 around the world — who use Xero day in, day out, and it’s the valuable feedback they give to us that ensure Xero is constantly growing and improving. So a big thank you to our Xero Partners and customers for your recognition and support over the years. We can’t wait to show you what we’ve got in store for the future. 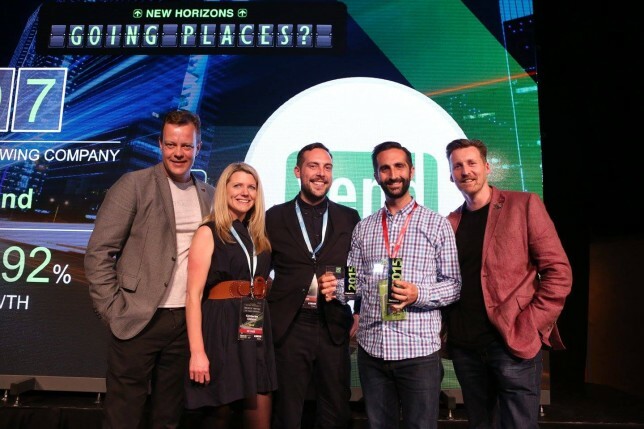 The post Canstar award shows why Xero is 5 star accounting software appeared first on Xero Blog.